Strip away time. Erase the day of the week, the month, the year. Tumble into a kaleidoscope of color. Pass through the membrane. Be the membrane. There never was a membrane. You're back at a Grateful Dead show. When they did it well, it was all about the evaporation of everything that grounded you to the here and now, yet allowed you to slip all the way into the here and now just the same. The Dead's musical muse simply was. It didn't evolve so much as slowly turn, ever-present in the light. A telltale sign that the band was coaxing the muse out came with the strong impression that you were no longer hearing music being played right now. More often, the muse simply sounded like the Grateful Dead, echoing backward and forward, un-tethered to "today." Here's a show with the opportunity to echo as far forward as it could backward. 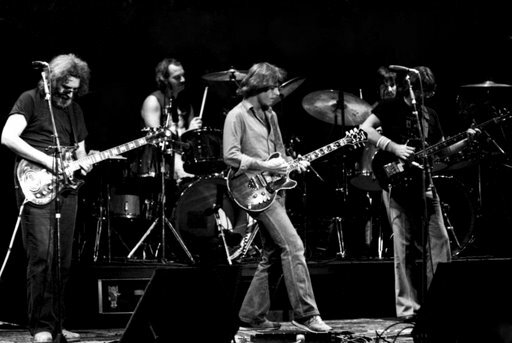 Played in 1980, it stands at the center of the Dead's 30 year career. This is too coincidental a reason, I know, but the show is indeed packed with muse-infused moments. 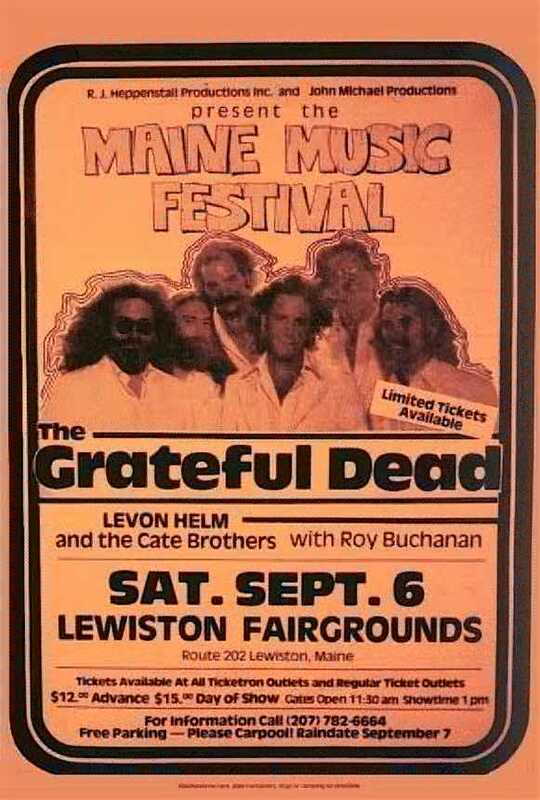 On 9/6/80 the music played the band. The entire show is worth all of your ear's time. Yet, there are several highlights that bear mentioning – so many, that I'm quite sure I will overlook a few. Sugaree plays on and on, Garcia speeding and swirling effortlessly. The band is locked in with him, everyone adding fuel to the fire. It's a healthy, long version, typical of the time period. Feel Like A Stranger is sublime. The jam is tossed into a heavy syncopation after Bobby missteps a "silky silky silky crazy night" line. It's impossible to tell who in the band slips with him, and who stays in the prescribed beat count of the song. But the result is an extremely extended jam that fires flares off in roller coaster streaming arcs for what feels like an eternity. The phrasing is filled with the standard Stranger themes, but it is peppered with so much more. When they somehow manage to pull together for the final refrain, it's like be shaken from an epic dream. Leading off with a rousing Shakedown>Saint of Circumstance>Lost Sailor, the second set gets off to a fine start. But it's the huge meat of the show where the Grateful Dead's muse fills every pore. In case you overlooked it above, this is a very long ride: Playin'>Uncle John's>Drums>Space>Not Fade Away>Wheel>Uncle John's>Playin'>Sugar Magnolia. Within this roughly 60 minutes stretch of music, we find the Dead dipping deeply into the well of creative juices they've been tapping throughout this entire early September run. Playin' quickly transports the band to no-time. Jerry's rapid staccato lead lines slowly swirling in and out of view are the only hint that it is still 1980. The jam flies down rails of light, banking around hillsides and tunneling through showers of rich watercolor rain. Footing is easily lost as perception is swept up into the buoyancy of music. When Garcia eventually directs the band into Uncle John's it rings with the message that we have arrived. There is a vast opening of hands and hearts here. You can feel it everywhere. The Dead have brought a crowd of thousands to trusted and familiar place. Here, the musical loping is timeless. As the song's joyful bounce tips over into the 7/8 time signature jam, the band is alive with light. Everything dazzles, and the music pulls into great tracks of ascending smoke. Before Drums, form dissolves into pulsing fragments and regressions. Space is brief, yet bottomless. Phil hurls massive planets, churning with purple lava, over and into the body of the crowd. They take away the space to breathe, as the air is filled with magma over and over again. Suffocating, taffy-like moans expand to fill the fairgrounds. Not Fade Away appears and ignites the crowd's energy. And while it arrives off of a Garcia hip check into the boards, The Wheel which follows swoons with that unmistakable Grateful Dead vibe. A timelessness is returning, and when they deftly transition back into Uncle John's Band, the segue jamming is sensational. The ever-present underpinning of joy and welcoming arms envelope the audience and it becomes easy to lose oneself in the long spiraling cycles of the music's structure. Another nice transition unfolds back into Playin' to bring things home. The music swirls between the 7/8 and 10/4 time signatures. Themes merge and the Dead's music elevates the senses. The song ends with a few extra refrains during which Jerry delivers some unexpected soloing sparkle just when you'd otherwise expect the song to be over. Sugar Magnolia closes the set, and things end with a Brokedown Palace encore that further solidifies this show's ability to strike the chord of the timeless Grateful Dead muse. 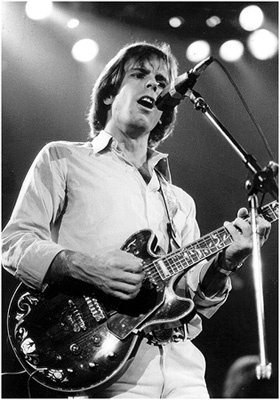 Jerry's short solo floats like starlight through a softly swaying summer breeze. It is enough. We are bathed in the band's pure lore of folk-psychedelic Americana music. It is everything Grateful Dead. Fare thee well.